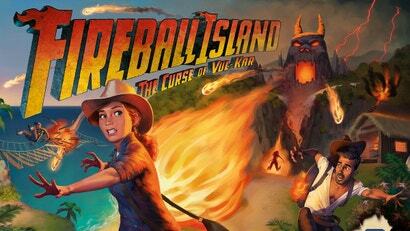 If you had the board game Fireball Island in the '80s, odds are you never forgot it. Not just because it was a wild game that let you race marbles around and knock out opposing players, but because the box and board were so ridiculously massive. That original game was shelved by Milton Bradley long ago but, as of today, it's making a comeback.